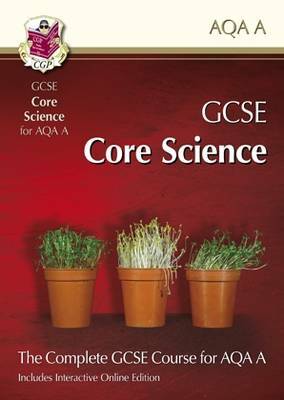 This student-friendly textbook comprehensively covers the AQA A exam specification for GCSE Core Science. It contains in-depth, accessible notes explaining every topic, supported by clear diagrams, photographs, exam tips and worked examples. Practice questions and exam-style questions are included throughout, with detailed answers at the back. The Interactive Online Edition (accessed using the unique code printed in the book) lets you read the entire book on a computer, tablet or smartphone, with extra videos and animations to show you the science in action.